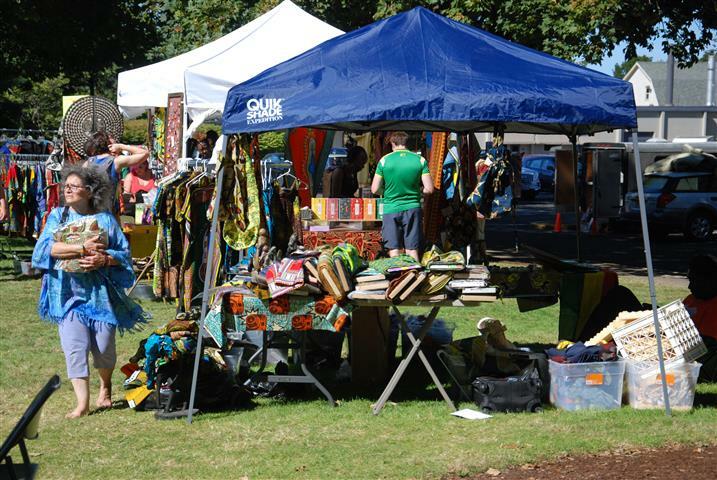 Come visit the Zimfest 2018 Marketplace and explore the wonderful assortment of African art, clothing, crafts, musical instruments, CDs, and DVDs that are available for purchase. Relax on the broad grassy lawn and enjoy the music from the afternoon concert stage as you shop for special treasures. The Marketplace also provides an opportunity to learn about and support nonprofit organizations that are working with the people of Zimbabwe and South Africa. Your purchases from these nonprofits will benefit many lives in Southern Africa. The Marketplace and afternoon stage will be located in “The Grove,” an open area with trees around the periphery (see photo below). The Grove is convenient to the Werner University Center (site of Zimfest Registration) and links the WOU campus residential and academic areas. Free parking for Zimfest attendees will be available in Parking Lot F just south of the Grove. 2018 Marketplace Coordinators are Jan and Helen Six.